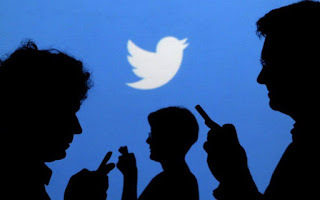 🔰Microblogging platform, Twitter, has begun using antispam technology to detect accounts that promote terrorism, suspending in recent months, 125,000 online profiles with Islamist character, informs The New York Times. Twitter company has launched this campaign to urge of Administration of the Washington, who asked online social networks to intensify actions to combat terrorist messages. 🔺Online social networks have become a recruiting tool and radicalization used by groups such as Islamic State terrorist organization. Twitter, based in San Francisco American city, announced additional staff specialized in the detection of terrorist content to reduce “significant” reaction time. Twitter experts uses technology similar to anti-spam to detect and suspend accounts that promote terrorism. Comment on "Micro-blogging Platform, Twitter, Has Begun Using Anti-spam Technology To Detect Accounts That Promote Terrorism"